Our guide to Tucson will help you find the best green spots in Tucson Arizona. The Old Pueblo, as Tucson is affectionately known, is built upon a deep Native American, Spanish, Mexican, and Old West foundation. Vast deserts, green canyons and majestic mountain ranges form an impressive backdrop, and close proximity to the Mexican border is evident in the architecture, distinctive cuisine, lively fiestas and the annual festivals. Tucson's mild, dry climate – blessed with year-round sun – makes it a popular winter resort. Visitors can take in attractions such as the Titan Missile Museum, Biosphere 2, Reid Park Zoo, Kitt Peak Observatory and several national parks. Economically, the city is driven by electronics and missile production, and is recognized as both the premier health services center of the Southwest and the astronomy center of the world. There are tons of great green spots in the city of Tucson, our city guide will help you find the best green spots. You may have a hard time deciding what to do in Tucson, but we make your decision easy. 12500 E Old Spanish Trl, (520) 591-2276 - Rincon Valley Farmers Market is a green farmers market located in Tucson AZ. 2970 N Swan Rd, (520) 320-6344 - Plaza Palomino Food Faire is a green farmers market located in Tucson AZ. 3003 S Country Club Rd, (520) 622-0525 - Community Food Bank Farmers Market is a green farmers market located in Tucson AZ. 4282 N 1st Ave, (520) 887-0211 - Sunflower Farmer's Market is a green farmers market located in Tucson AZ. 4380 N Campbell Ave, (520) 918-9811 - St. Philip's Plaza Farmer's Market is a green farmers market located in Tucson AZ. 4625 E Speedway Blvd, (520) 325-1320 - Sunflower Farmers Market is a green farmers market located in Tucson AZ. 7665 N Oracle Rd, (520) 297-5446 - Sprouts Farmers Market is a green farmers market located in Tucson AZ. 7877 E Broadway Blvd, (520) 546-6112 - Sunflower Farmers Market is a green farmers market located in Tucson AZ. 840 E 17th St, (520) 792-2588 - 17th Street Farmers Market is a green farmers market located in Tucson AZ. N La Cholla Blvd, (520) 297-5446 - Oro Valley Farmers Market is a green farmers market located in Tucson AZ. 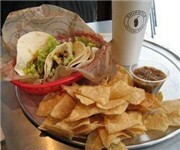 235 W Wetmore Rd, (520) 888-0444 - Chipotle Mexican Grill is a green restaurant located in Tucson AZ. 2990 N Campbell Ave, (520) 325-7766 - Lovin' Spoonfuls is a green restaurant located in Tucson AZ. 4774 E Grant Rd, (520) 326-1009 - Chipotle Mexican Grill is a green restaurant located in Tucson AZ. 5870 E Broadway Blvd, (520) 747-1523 - Chipotle Mexican Grill is a green restaurant located in Tucson AZ. 711 E Blacklidge Dr, (520) 792-0630 - Govinda's Natural Foods Buffet is a green restaurant located in Tucson AZ. 7555 N La Cholla Blvd, (520) 544-3868 - Chipotle Mexican Grill is a green restaurant located in Tucson AZ. 905 E University Blvd, (520) 628-7967 - Chipotle Mexican Grill is a green restaurant located in Tucson AZ. 2801 N Country Club Rd, (520) 293-7770 - Aqua Vita Natural Foods Market is a green food / grocery store located in Tucson AZ. 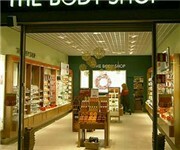 350 S Toole Ave, (520) 622-3911 - Shop Natural Market is a green food / grocery store located in Tucson AZ. 3954 N Oracle Rd, (520) 747-0209 - New Life Health Center is a green food / grocery store located in Tucson AZ. 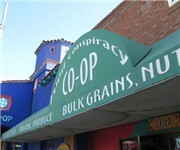 412 N 4th Ave, (520) 624-4821 - Food Conspiracy Co-op is a green food / grocery store located in Tucson AZ. 4500 E Speedway Blvd, (520) 747-0209 - New Life Health Center is a green food / grocery store located in Tucson AZ. 333 W Drachman St, (520) 791-7551 - Executive Inn & Suites is a green hotel / motel / resort located in Tucson AZ. 3855 E Speedway Blvd, (520) 318-3777 - Varsity Club of America is a green located in Tucson AZ. There are plenty more green spots in Tucson. See all green spots in Tucson Arizona.